Nicholai S. Lekanoff was born in Makushin in 1925. He died in Anchorage on Nov. 8, 2018. The friends and family of Nicholai Lekanoff are gathering Wednesday to celebrate the life of the noted Unangax̂ elder and church leader, who died last week at age 93. Lekanoff was born in Makushin in 1925 and later moved to Unalaska with his family. He was an altar boy in his youth and served throughout his life at the Holy Ascension Cathedral, where he became the Starosta and was known for his skill in ringing the church bells. After the bombing of Dutch Harbor in 1942, Lekanoff was among the hundreds of Unangax̂ forced to evacuate to southeast Alaska, and he worked to support his family during their internment at Burnett Inlet. After World War II, he married Pauline Kudrin of Kashega, and they raised a large family in Unalaska. Lekanoff's funeral is Wednesday, Nov. 14 at 2 p.m. at the Holy Ascension Cathedral. A potluck will follow at 5 p.m. in the high school's small gym. 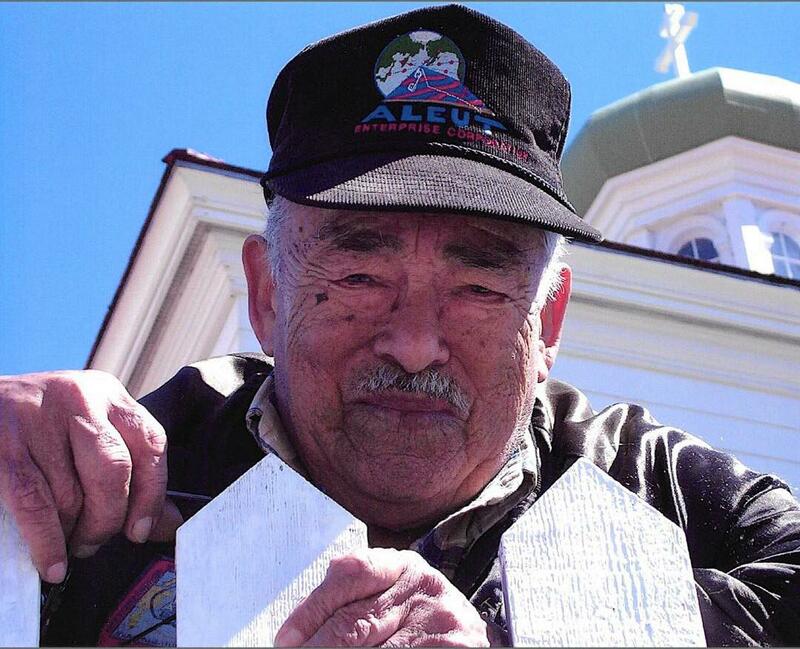 This summer marks the start of a three-year project to restore Unalaska's Holy Ascension Cathedral and its nearby structures. Right now, project leaders are focused on the Bishop's House. It has sat idle since a previous renovation effort stalled out about 15 years ago. "It's just been sitting here getting stale," said Al Williams, a retired preservation specialist who spent 34 years with the National Parks Service. "I'm working right now at trying to button up the exterior." It’s been 75 years since the U.S. government removed the Unangax from their homes in the Aleutian and Pribilof Islands, following a deadly attack by the Japanese. Hundreds of people gathered in Unalaska last weekend to commemorate the bombing of Dutch Harbor during World War II and hear stories from survivors. June 3 and 4 mark big days in Unalaska’s history. Just ask Harriet Hope. Hope is talking about the bombing and subsequent evacuation of Dutch Harbor during World War II. She was just a child when the Japanese Navy attacked.